A little over a year ago, I got back into something I did not plan to. I started hunting and collecting console video games again, something I had not really done much since the 1990s. A few chance discoveries followed by the opportunity to poke around out there more and I found myself re-living the good old days of driving from place to place and seeing what old favorites I might turn up. Before doing so, I had seen the social media posts and the YouTube videos that bemoaned the current state of video game collecting versus how it used to be. I had believed what I was hearing, too. But as it turns out, video game hunting now is not any different than it was in the 1990s, right down to my ability to find things the same way I did back in the day. Here is a rundown of the online video game collecting myths I read and my take on them as a guy who has done this dance in the past. First of all, I pull up plenty of good finds in the wild on a wildly regular basis, all in an area full of collectors and resellers who are often the same people who claim the well is dry. What has changed is not the marketplace but how and where one needs to look. 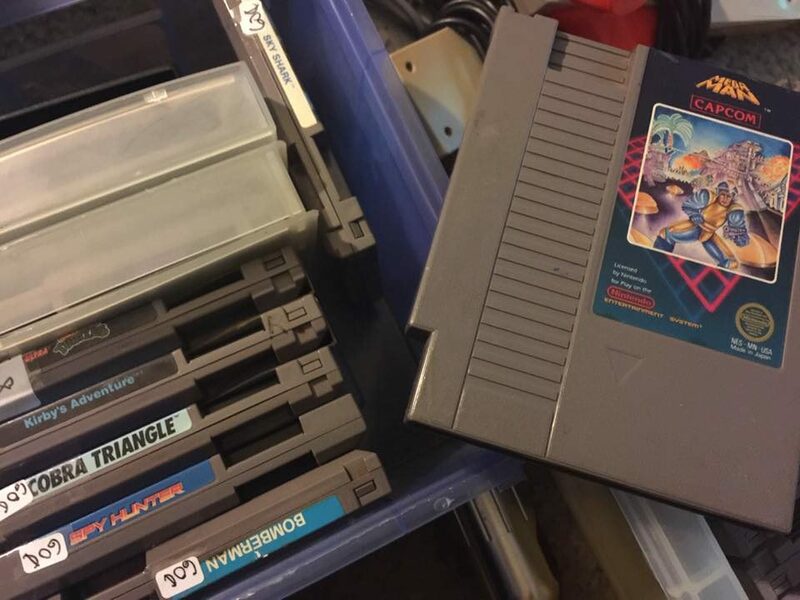 Thrift stores, flea markets and garage sales do not turn up vintage video games like they used to because most of the people who get rid of them that way already have. For the most part, such places are always going to be full of stuff that is ten years old or less. It has always been that way, too, as the true pack rats rarely or never take stuff to the Goodwill or have a yard sale, and those who Spring Clean every so often got rid of that stuff long before now. It is simple logic, really, and the same reason you do not find other items from the 70s, 80s and 90s very often in such places. 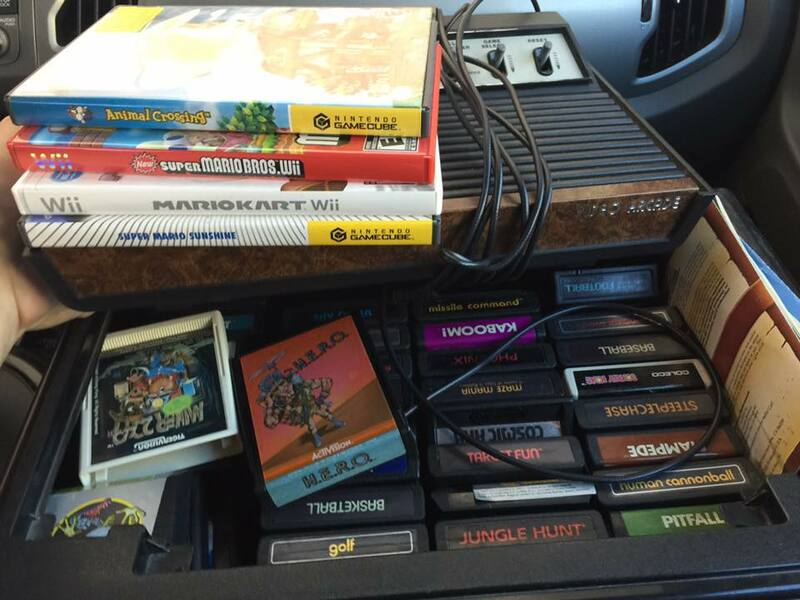 No, I do not see Nintendo Entertainment System games at yard sales and thrift stores very often anymore, either. I also do not see nearly as many old records or VHS tapes. I rarely see vintage Star Wars and Transformers toys in there these days, and I am pretty sure the stream of parachute pants and New Kids on the Block t-shirts slowed down in those places quite some time back. To suggest a lack of finds at yard sales, thrift stores and flea markets is due to anything else is like an oil company claiming there is no more oil left in the world because the drilling locations they have been working have gone dry. In both cases, you simply need to change where you are looking. No, there are not more people looking for old video games now than there was in the 1990s. What they are looking for has changed, but not the number of those looking. 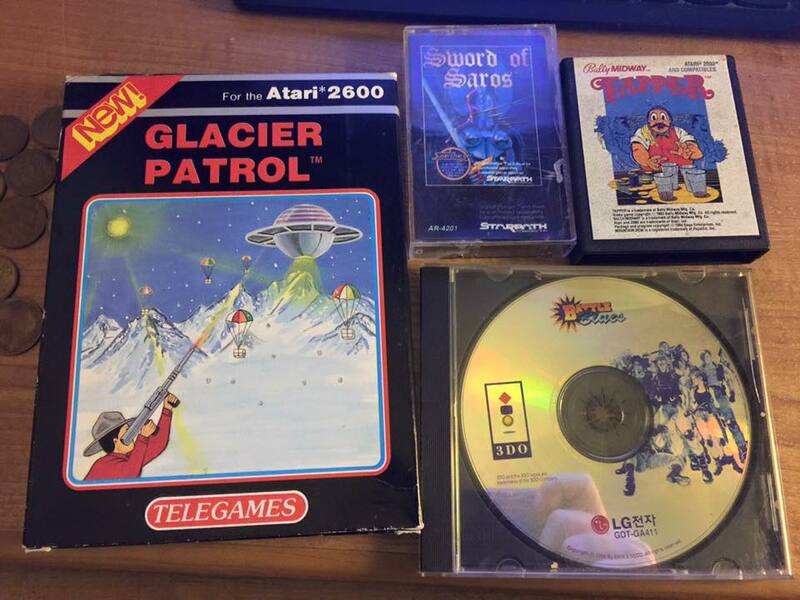 Back then, they were hunting down Atari, ColecoVision and Intellivision stuff along with early home computers. The TRS-80 and the early Apple stuff was especially sought after by those hunting in the wild those days. At that time, those people had no interest in 8-bit and 16-bit cartridges and what have you, because they were still fairly new by comparison. Used Nintendo games were looked at in 1998 like used Xbox 360 games are now. 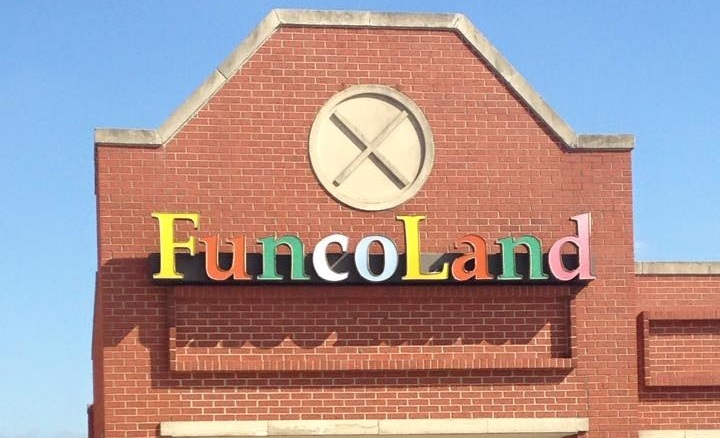 You could still go into a Funcoland and find them just like you can go into a GameStop and find recent generation console games today. Over time, of course, what people were looking for changed as supply dried up and people reached a certain nostalgic point in their lives that increased demand. This is a cycle that exists with every type of collectible out there and always has. If you talk to the collectors of any other form of pop culture or entertainment, you will find a lot of similar stuff like that. It only seems like there are more people looking now, because there is more interest in what you happen to be looking for, too. It also seems like more are looking because of social media, a tool that was not around until rather recently, even if it seems like something that has been around forever. Back then, you only knew who you ran into in your area regularly or met up with at swap meets and auctions. Notice that I did not shoot this one down with an opinion, as I feel strongly enough about this to say with a certainty that it is not true. First of all, the words “reseller” and “scalper” seem to be thrown around as an insult, despite the fact that everyone is a reseller by definition. No, you are not going to sell or trade that Little Samson you picked up for $5 for any less than near-retail for it, nor would you pass up a stack of Stadium Events carts for “the next guy” to find. If you have ever sold or traded something at more than you paid for it, you are a reseller / “scalper” just the same as you call others. Thing is, the simple laws of supply and demand only work when both sellers and buyers are in unison. If a product is priced higher than people are willing to pay for it, that product will not sell and must come down in price. This dynamic is happening right now on Amazon, at every Walmart and Target across the land, and within the housing and automobile markets as well. The BUYERS of a product determine that product’s market value, not the sellers. If people are willing to pay $20 for an old Atari cartridge, that’s what the sellers are going to try and get for it. Period. Those who resell video games or anything else for that matter do not and cannot impact the rule of supply and demand. They simply capitalize on it. Sure, anyone with a working set of fingers and the most basic of today’s technology can get an idea of the market value of an item by simply looking at eBay. But that is nothing new, really, other than the website itself. In the 1990s, it was the Funcoland price sheets that served that purpose. Each month, that company would print out a full list of what they priced every single game they carried and sold. There would be many occasions where I would hunt for games in a pawn shop or a yard sale, only to see the seller pull out a Funcoland price sheet before quoting me a sales price. In fact, if anything, eBay has actually kept prices lower on all but the rarest video games. Back when it was first introduced, my wife and I ran resold toys and action figures at various pop culture and sci-fi conventions. The site instantly changed our luck there, as it opened up the marketplace from a regional one into a worldwide one. No longer were collectors restricted to buying only the toys that were sold within that event because they could not find them in town, as they could now take their pick online from sellers all over the place. The end result forced us to sell most stuff for less than we were able to before, because now we had to compete with dozens of other sellers on eBay. The same holds true for vintage video games now, as few are going to pay $30 for a game that can be found there for $10. Disagree with it if you like, but brick and mortar stores are suffering the same way against Amazon right now. Also, eBay did not create resellers for any sort of collectible, video games or otherwise. It just gave them a platform that did not exist before. Back in the 80s and 90s, classified ads in the newspaper would be filled with people collecting and reselling whatever was hot at the time, from baseball cards to Cabbage Patch Kids to Tickle Me Elmo dolls. Yes, video games were also resold that way many different times, the most memorable of which was based on Super Mario Bros. 2 and Zelda II: The Adventure of Link when those were high-demand / short-supply NES titles during Christmas 1988. If you think the recent eBay stuff regarding the NES Classic console was bad, you clearly weren’t around when the PlayStation 2 launched in 2000. Every console launch since then has been child’s play in regards to resellers versus the frenzy back then that saw PS2s selling for thousands of dollars. However, its existence did not cause that frenzy, and in fact it probably is why the prices on the console fell back down to earth just a couple of weeks later. If not for eBay, the prices on most-to-all games that are not truly rare would likely be higher than they are now, not lower. You would be limited to buying out of the supply chain that only exists in your particular region, like it was back in the day. All in all, I am enjoying my somewhat recent return to my roots, and it is fun to be game hunting regularly again, especially since I am now at an age where I can more easily afford to buy things when I find them. But in the grand scheme of it all, the hunt is the same as it has ever been, so do not let any online cynics tell you otherwise.